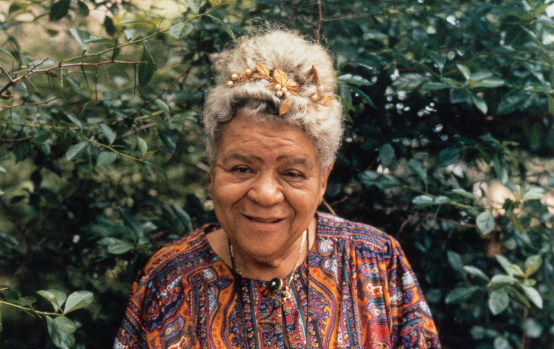 Note: Liberation School continues our Black Communist History series with a transcription of an interview with “Queen Mother Moore,” a legendary figure in the Black liberation struggle. These interviews were conducted over three decades ago and the audio files have been digitized as part of NYU Tamiment Library’s invaluable Oral History of the American Left project. Liberation School has been transcribing and publishing interviews from this collection not as an endorsement of all the statements expressed in them, but to help a new generation of organizers and revolutionaries gain access to the experiences, lessons and perspectives of prior generations of U.S. communists. While much has been written in academic circles about the role of communists in the Black freedom struggle, this history is systematically omitted in history textbooks and rarer still do we get to hear from the Black radicals themselves. Thanks to the Tamiment Library for digitizing these audio files and to Scott Simpson for the transcription. View part one of this interview here. Interviewer: Were you still in business for yourself at this time? Interviewer: So it was a thing where, people like yourself felt this was the only thing that was out there fighting?